The journey you are about to embark upon is a journey back to you. It is time to simplify, to rise above the drama and to turn inwards. You can create a life of magic, mystery and adventure by shifting your perspective. You can create the resources to experience the life that you desire by strengthening your self acceptance and self worth. By knowing that you are capable of co-creating with the Universe; you allow the Universe to meet you with the magic you seek. Anything becomes possible. A trip is on the horizon. It could be local; turning off your phone and venturing into the deep forest to communicate with the elemental realm. It could be a little road trip, even a day trip to a new beach or to climb a new mountain. Book it. Make time to be alone, or with the ones you love, doing something that brings you back into harmony with the natural world. Experience nature with all of your senses. Do something beyond the ordinary for you. Shake things up a little. When you do this you make space for more new experiences; you expand your awareness and raise your consciousness, bringing more love and light into your being. 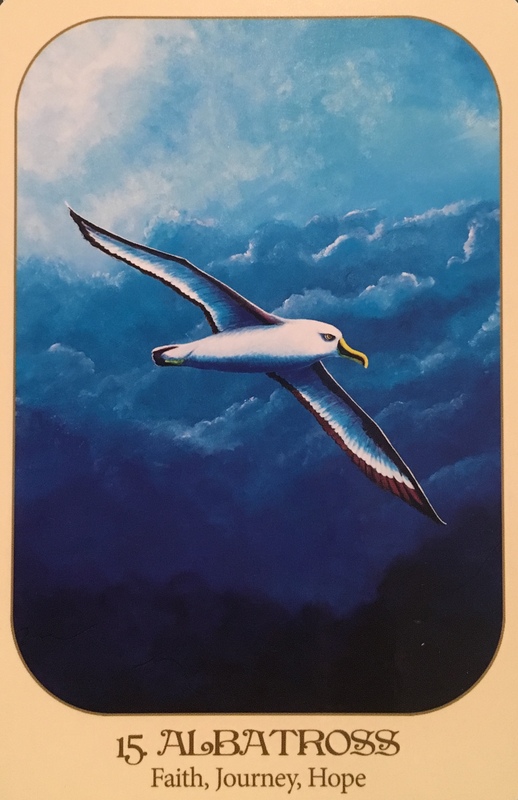 Fly like the albatross, feel the deep sense of freedom that comes with absolute Faith.